The quarrying of granite and gneiss is closely linked with interventions in nature, and is strictly regulated by law. They limit the mining of rock, and oblige us to renaturate or recultivate these areas. RÖHRIGgranit® is committed far beyond these legal requirements. To this end, we have been cooperating with NABU for many years. 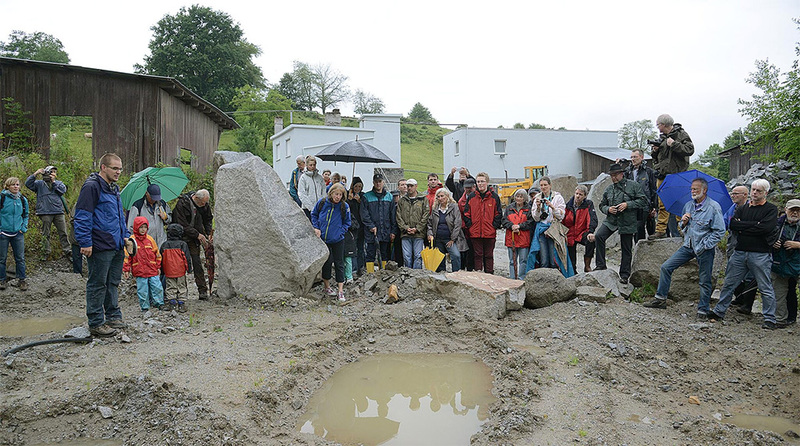 We are a member of Umweltallianz Hessen and Ökoprofit Südhessen, as well as being awarded as a partner for biological diversity in the state of Hesse. We pay special attention to nature even during the mining phases. Because quarries are not only sources of raw materials. The quarrying process keeps creating new, ever-changing biotopes. Many animals and plants that have lost their natural habitat find a substitute habitat here. For us, the protection of such newly populated niches is a special task. 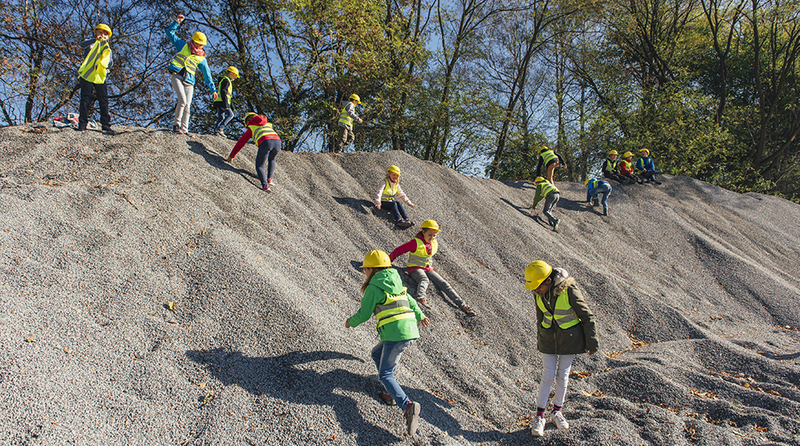 In the quarries of RÖHRIGgranit®, protected species such as peregrine falcons, eagle owls, yellow-bellied toads, and little ringed plovers develop. Our employees maintain the biotope areas in addition to their day-to-day business. RÖHRIGgranit® pursues an environmental policy derived from the company objectives, which is reviewed and updated each year. Our key issues are the optimization of processes and products under environmental aspects, the reliable implementation of legally binding environmental measures, raw material-friendly stone extraction and processing, and non-profit projects in the fields of environmental protection and environmental education. We succeed in optimizing our processes and products through an elaborate environmental management system that encompasses all areas of the organization. 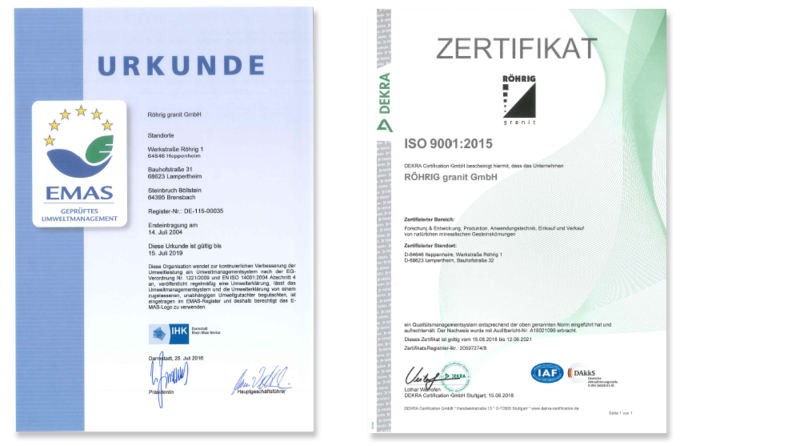 Our environmental management system according to DIN ISO 9001:2015 is audited both internally and externally, and is certified by EMAS. We have been developing it continuously for many years. You can find our latest environmental statement here. 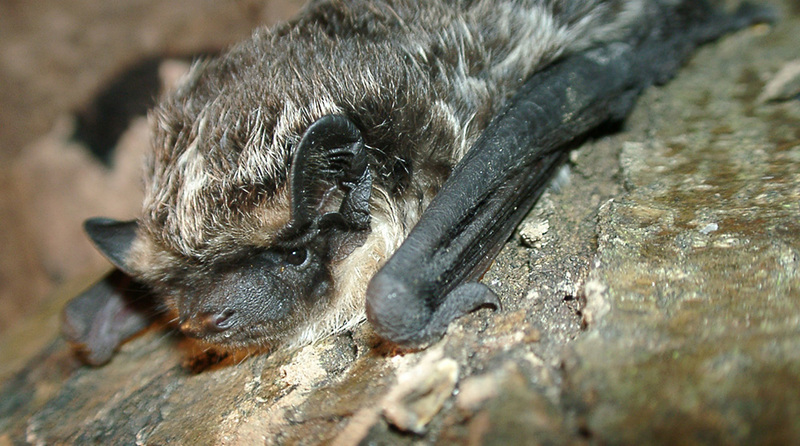 In our quarries we can identify different bat species. Their names should be listed: whiskered bat, brown long-eared bat, Daubenton’s bat, serotine bat, large noctule bat, common pipistrelle, and Nathusius’s pipistrelle. In order to promote the development of the populations, we have spread more than twenty nesting places all over our area. These include round boxes that simulate tree cavities, as well as flat boxes that are intended to replace roosts in openings, such as slate or wood paneling, which used to be found on almost every building. As part of our species protection measures, we take care of endangered animals and plants. We pay particular attention to the yellow-bellied toad. It belongs to the strictly protected species, and has found a safe habitat with us. Every spring, our employees create a large number of new micro-waters for them. The dynamics ensure that no predators establish themselves in the puddles. We check the success of our species protection program developed with Nabu by using the “catch-back method”: toads are marked and released again. At a later point in time, we go on the toad hunt again. From the number of marked and unmarked animals, we can conclude the size of the total population. 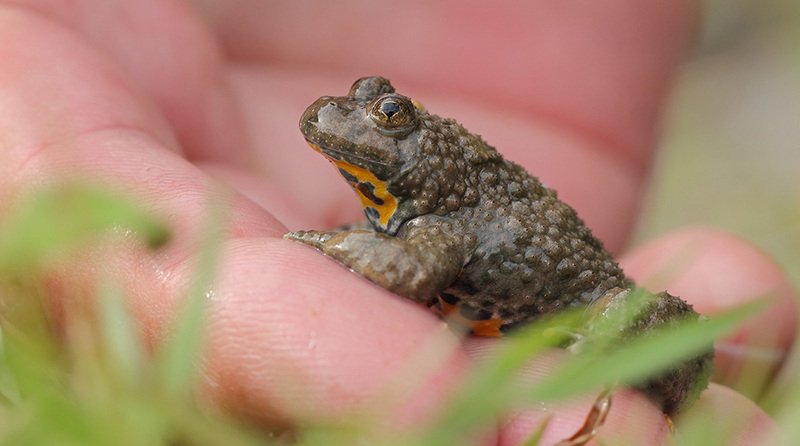 Our effort seems to be worth it: we assume that the yellow-bellied toad can spread beyond the boundaries of the quarry, and that it can be networked with other existing populations. This is what we are working at. Children love nature. We want to open their eyes for the environment, and create space for them to experience nature. This is why RÖHRIGgranit® has been offering events for children for many years. This includes trips to the quarries to observe eagle owls, toads, and other protected species, but also nature project weeks for kindergartens and school classes. During the project weeks, we deploy trout with the children, build insect hotels, or design nature trails together. The focus is always on encountering nature and discovering one’s own craft skills. Together with Nabu Heppenheim, we offer nature excursions to explore the local flora and fauna. Many protected species inhabit our quarries, where they can reproduce in peace. These include not only amphibians, but also peregrine falcons and eagle owls, which breed in the high rock faces of our quarry in Sonderbach where they raise their young. We invite adults and families to our eagle owl excursion in January or February, when it gets dark early, and the courtship display of the eagle owls begins. After an introduction by Nabu, a short hike leads us to the courting area, where the calls of the eagle owl can be heard well, and you may even see it. The group then walks back through the dark forest in torchlight. There are warm drinks to counter the cold.